I understand the desire to quantify our wellbeing, but some things are just not that black and white. We are living, breathing, dynamic and magical beings that are so much more complex than figures on the scale or a nutrition label. While numbers—like body weight, calories and macros—can be useful indicators, they are not the only or most accurate measure of our health. But we know this. We know that muscle weighs more than fat and that over half of our body weight is water, yet we still freak out when the scale tips a pound or two over our comfortable range. We know that 200 calories of carrots is very different from 200 calories of Twinkies, but we continue to feverishly count them. And we love to compare. The truth is that some people feel great at 120, while others might be their best at 155. One is not superior to the other; we’re all different. So why do we continue to obsess about these figures? Perhaps it’s because we have nothing else to go by. In my nutrition practice, RASA, I find time and time again, that when someone starts feeling good, the number on the scale or the amount of calories consumed begin to matter less and less. When you understand the relationship between your food choices and your quality of life, you will naturally start craving health-promoting foods—no deprivation or counting necessary. It can be incredibly demoralizing, stressful and unproductive to associate your self-worth with a number on the scale or attempt to restrict yourself to an arbitrary quantity of food. Here are a few of my preferred ways to check in with yourself without having to assign a number value. 1. How do your clothes feel? If you gained a few pounds and your clothes fit the same, would you even notice if you didn’t step on the scale? Probably not. If your weight is within normal range (i.e. not under or overweight), there is absolutely no need to stress over a few pounds. We naturally fluctuate. When your clothes start feeling tight—or too loose—that’s when you know you should check in with yourself. If you choose to step on the scale, give yourself a range of about 5 pounds to account for normal fluctuations. 2. Be mindful of your energy levels. Are you having a hard time getting out of bed in the morning, or staying focused at work? When our energy levels drop we tend to eat more sugar and carbs, and move less. It’s a dangerous and frustrating cycle that I often compare to a hamster wheel. Eating nutrient-dense foods like a variety of vegetables, healthy fats and protein will increase your energy levels, improve your sleep and help you to maintain a healthy weight. Our gut is a major site of hormone production—over 95% our serotonin, for example, is made in the gut. If you’re consistently feeling down or grumpy, it could be an indicator of poor gut health. Eating a wealth of high quality (preferably organic) vegetables, taking a daily probiotic and eliminating processed foods are good mood moves. 4. What about your skin? We can tell a lot about what’s happening on the inside by what is happening on the outside. If your skin is drier than normal, oily, experiencing breakouts or puffiness, your diet could be both the cause and the cure. Regardless of the number of calories you eat, swapping sugar, alcohol and processed foods for hydrating fruits, vegetables, healthy fats, quality proteins (sensing a pattern here?) and drinking plenty of water will help your skin get back into its groove. I also find that when people switch their diets, they lose inches without dropping pounds. This is inflammation, and it makes a huge impact on the way you look and feel, irrespective of the number on the scale. If you’re not eliminating foods properly, something is off. That can mean too little elimination or too much. You get the point—pay attention to it. You can also experiment with removing gluten and dairy from your diet, as well as adding in daily probiotics and fermented foods, which often relieves digestive issues like constipation and bloating. It’s common—and frustrating—to feel like you’ve plateaued in your wellness journey. When you shift your perspective from numbers to more tangible indicators of your wellbeing, you will be able to find a correlation between what you eat and how you feel. This is not only incredibly empowering, but also a much more accurate way of understanding your health. Keeping a diary of your food choices and how you feel in your body is a great way to record this. Try it for a week and see what you discover! Clients and members receive a complimentary health consultation with Mia as well as 10% off any RASA nutrition programs. Sign up for your consultation and make sure to mention Provenance. The California-native is a professionally trained chef and believer that for food to be good for you, it must first be delicious. 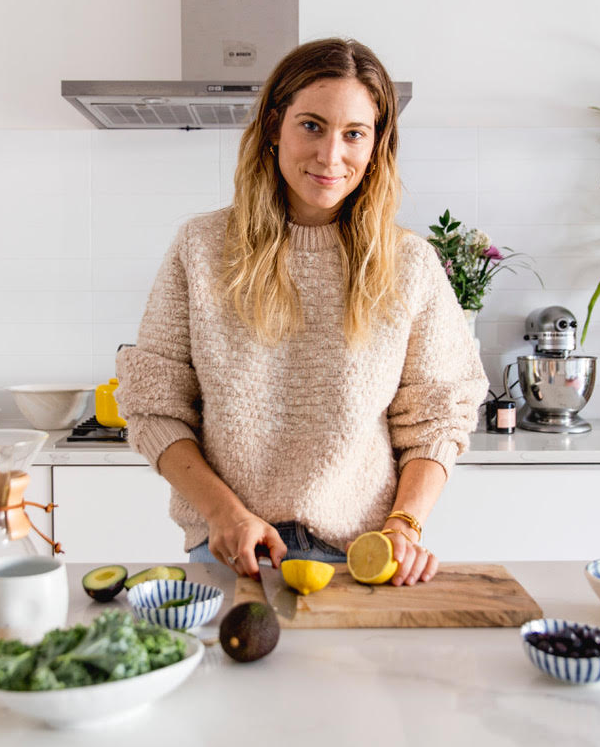 Mia works with clients globally through her signature whole foods detox, the RASA Challenge, one-on-one coaching programs, wellness consulting and recipe development. You can find her on Instragram @the_rasa_life or at therasalife.com.